I am not a natural organizer and I didn’t come into marriage with any great homemaking skills. 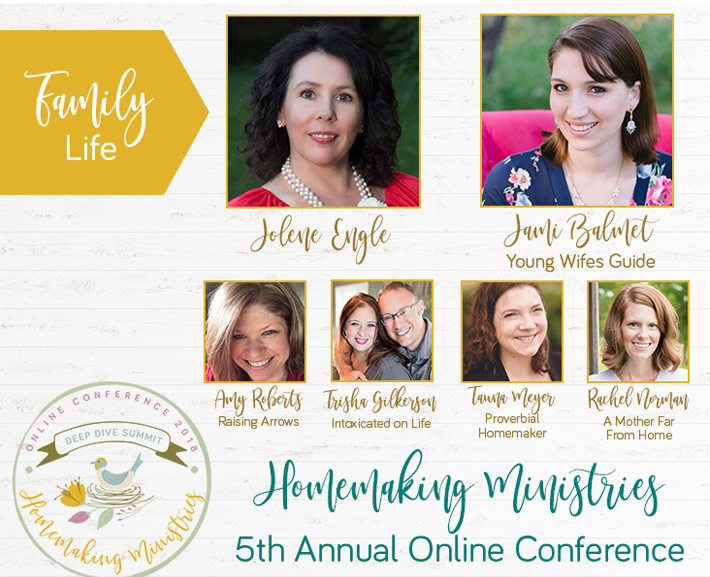 The last seven years have been a whirlwind of learning domestic skills and discovering along the way what it means to be a homemaker who glorifies God. I adapted pretty quickly to learning how to cook and clean and manage a home, even though I am a messy at heart – and not a natural organizer. But there has been so much to learn and catch up on that I still feel behind in several ways. Now with four kids under three, home management is more important than ever. 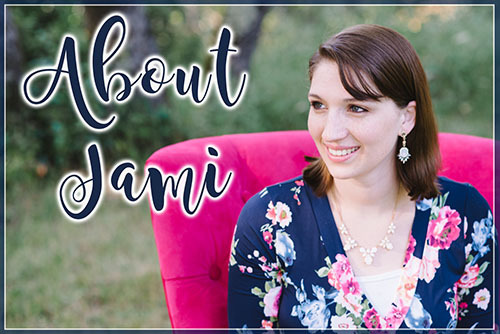 I’ve learned through a lot of trial and error that the more organized I can be with cleaning schedules, routines, and how I manage my home, the more I can accomplish. 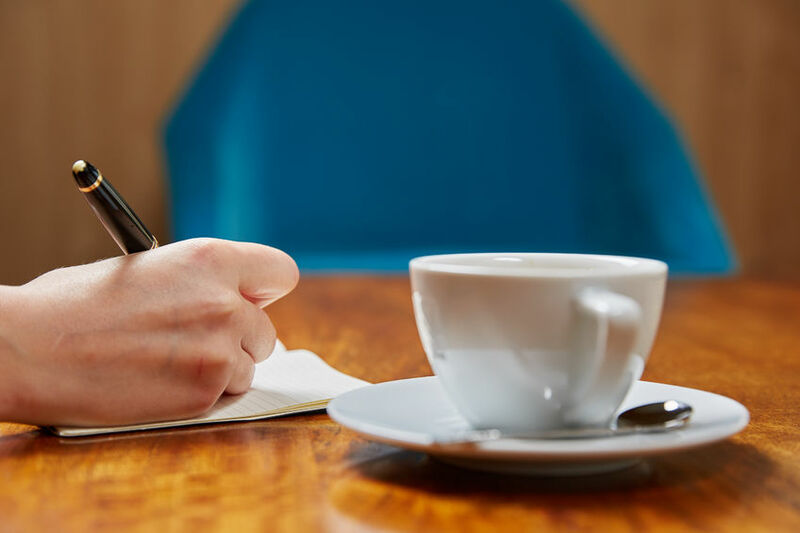 By putting some simple systems into place – such as utilizing a home management binder – I can better serve my family and be more in charge of my time than letting my schedule dictate where I spend my time. I do have to mention: I am in no way advocating that you need to run a perfect home or that you need to become a slave to your chore charts. There is a fine line between utilizing these tools and letting them run YOU. There is always a give and take and a balance with using systems and routines. The important thing to remember: is that you should find a system or way of doing things that works for your family, for the season of life you are currently in, and that helps you to bring Glory to God! Over the years I’ve come to grips with the fact that my house will never look like it’s ready for the cover of a magazine. If you drop by my house, little fingerprints will dot the windows, and don’t be surprised to find cheerios pushed into the corners of the kitchen. My house will never be picture perfect. And I’m happily okay with that. We live in a real house, with real people, and lots of little ones who are making constant messes. Maybe one day when our kids are grown and out of the house, everything will be clean all the time. But I doubt it. It’s just not at the top of my priority list. But what is at the top of my priority list is creating a warm and living atmosphere in my home. And to do that, clutter needs to be removed, floors need to be scrubbed, and I need to work on my home management skills. I need to find a balance between putting my family and relationships first, but also finding the time to keep a somewhat tidy home. I’ve been able to find balance by using certain tools to help me better manage my home. By putting a system in place this allows me to free up much-needed brain power from having to think through cleaning and management routines over and over again, I can better run my home, and also have breathing room to set a loving and warm atmosphere. “Growing up, my mom had us dust the baseboards and wipe down the plant leaves with cotton balls on a monthly basis. We assumed that everyone else did this too. One day, though, we discovered that wasn’t the case. A friend was visiting while one of us was in the midst of the cotton-ball-plant-cleaning routine. This friend was shocked and told us she’d never even considered cleaning in such detail. I created my first home management binder in my first year of marriage. I knew I needed something to help me manage everything: from finances, to cooking, to grocery shopping, to cleaning routines. And mind you, this was in the days before Pinterest!! So I headed off to Google for some research and made my first home management binder. It wasn’t pretty, it didn’t contain everything I needed. But it was a start! Over the years I’ve gone in seasons and out of seasons of consistently using a home management binder. And I’m finding myself in a season again where I desperately need one! So this time I went off to Pinterest in search of a good one. I came across some good ideas but I couldn’t find exactly what I needed. Plus, if I can make it super pretty, I’m so much more likely to want to use it. So I wrote out detailed notes on exactly what I wanted on every page of my home management binder and sent it off to my designer. My designer is fabulous so I knew he would come up with something great, but what he sent back to me, blew me away! He created the home management binder of my dreams!! So now I’m getting into a new routine, using my new home management binder. You might already have a binder that you use and love or you want to create your own. So today I want to quickly share the different sections that are in my binder. You can order my brand new Home Management Binder (Plus a BONUS training video) here! The first section of my binder has the pages that I used to generally manage my home. I probably use these pages the most often. Several of these pages are ones that I print off often. For example, one of my pages is a Daily to do Docket. It’s a sheet that I can print off for each day that includes a checklist for my day, details, a place for notes, etc. I don’t print this off for every single day, but it’s so handy to use when I need it! This is a fun section that I’m starting to use more and more. 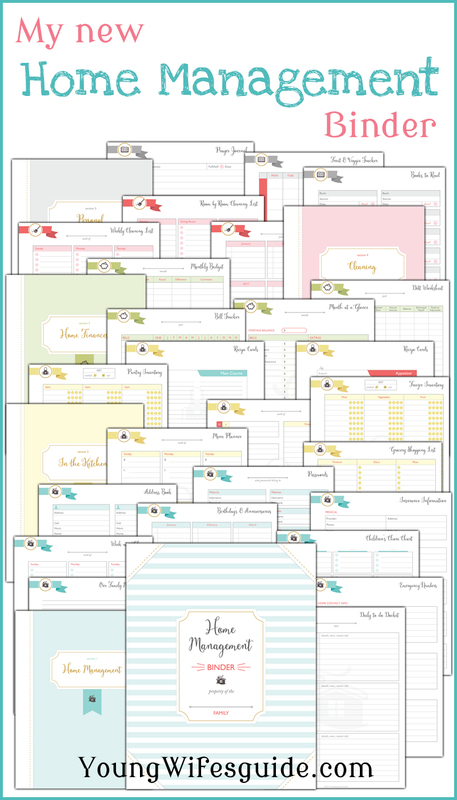 I’ve still been playing with how to best utilize these sheets but it’s been a big help in getting things organized in my kitchen! Uuugh finances. I really hate dealing with bills and keeping things organized on that front. And so because of that, I desperately need these pages. I’m getting better at developing a system for our monthly finances by using these sheets. Now I need to get Jason used to using them. In my binder, this section is pink and that just makes me so happy! I don’t like cleaning but I do love pink so it makes it just a little bit better. I love being able to keep track of cleaning routines with these simple sheets. It really seems to help! I’ve never had these pages in my older binders – and I love them! I had my designer add these ones in because I felt like they would be helpful since I was designing this binder to be my master brain for my home. I’m still getting into the habit of using these. I am so excited to share that you finally order my brand new Home Management Binder! I poured years of research into creating this binder and hired an AMAZING designer to make the binder come to life. The result? A powerful tool I know use every single day in my home and homemaking. I call it my houses’s brain. I don’t know what I would do without it! 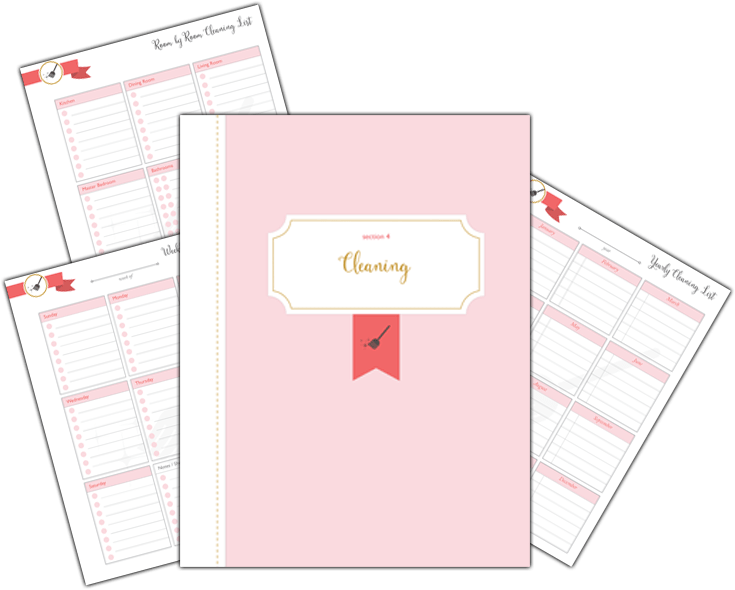 So if you need a little (or a lot) of help in your homemaking, I encourage you to check out my brand new Home Management Binder. And as a special bonus: When you purchase the binder, you will get access to my bonus training video that takes you through each page of the binder and how to best use it! Got mine, looking forward to the tips. I am hoping this will get me some ideas on how to improve on my current system. Do you think that the web conference and management binder will work for a mom who works out of the home 50+ hours a week? Yes! The home management binder is not geared towards stay-at-home moms only. It’s helpful for everyone who wants some help in cooking, cleaning routines, schedules, etc! And the conference works really well for all women. All the speakers talk a lot about “homemakers” but of course, we don’t mean stay at home moms only, we are referring to all women who manage their home (which obviously you do on top of your full time job)! We also have a 30 day money back guarantee. If you get into the conference and decide it’s not for you, I will happily refund your money! I was just curious–is this binder able to be purchased without the conference purchase? I can’t see a place to purchase just the home management binder. It’s not sure sale YET but it will be soon 🙂 We have to get through this busy conference first and then we will work on getting it in our store 🙂 Thanks!! Will there ever be a way to get it for those of us not interested in the conference? Hey there! I purchased my ticket, and received an email confirmation for my purchase from paypal, but haven’t gotten any other emails. Should I have? Super excited for my Homemaking binder and for the sessions!! 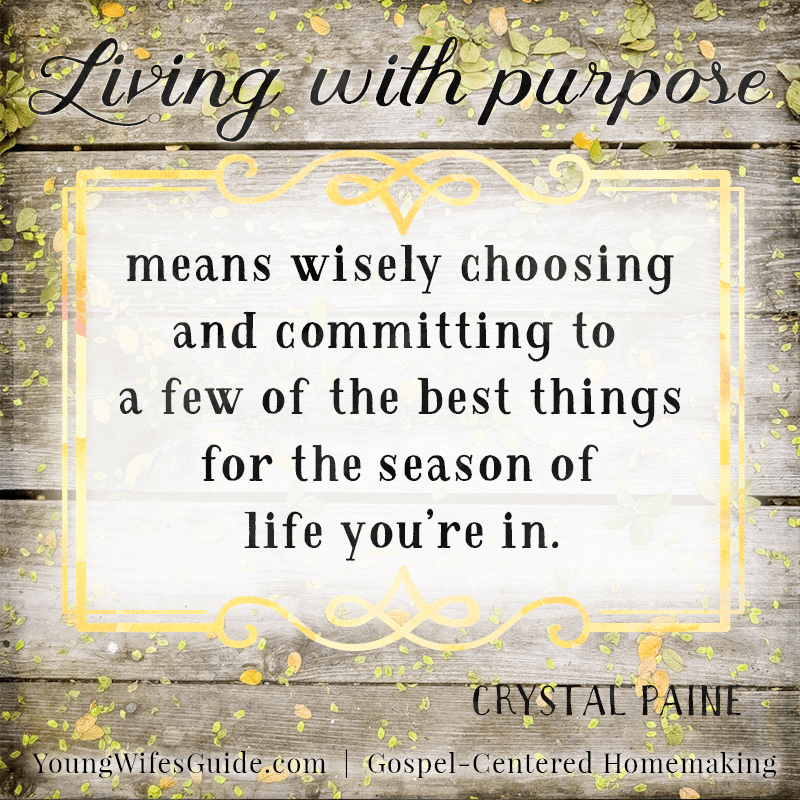 I’ve been praying for the Lord to grow me in wisdom when it comes to homemaking, so this is coming at a great time! Check your spam folder for the automatic email that gets sent out with your log in info! And I’m emailing you right now to make sure you have everything you need 😀 So glad you are joining us!! I saw the binder that you had up for the conference and was wondering where you had the binder for sale.